used personal information it held on consumers for the purposes of direct marketing in breach of privacy rules. The decision follows a series of complaints lodged in late 2014 by the Financial Rights Legal Centre, Consumer Action Law Centre, Financial Counselling Australia and the Australian Privacy Foundation. Under credit reporting laws that came into effect in early 2014, credit reporting agencies like Veda must provide access to a free credit report to all Australians once every twelve months (and in some additional circumstances). Credit reporting agencies must also make accessing the free report as easy as getting a paid report. There are also requirements about the use of consumers’ personal information for marketing, the content of free reports, and the timeframes in which reports must be provided to consumers. 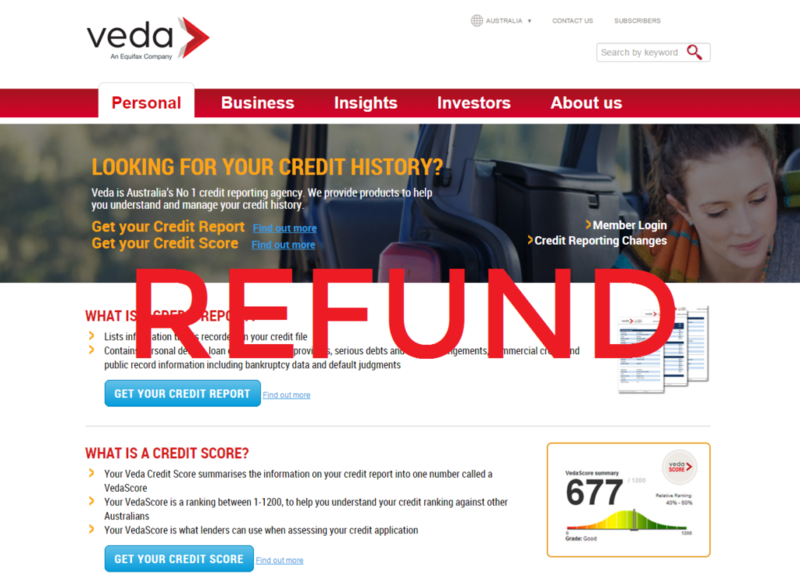 Veda excessively charging for credit reports after a free report has been provided: The commissioner found that there was not enough information to know whether $79.95 is excessive. The consumer organisations are considering appealing some or all of these findings.